Are you a self confessed gear junkie? Each year do you find that there’s some new component or frame that you simply must have. Do you love it when a more compliant frame is released? Do you love it when when someone announces a tire that rolls a tiny bit faster or has more grip in the corners (or so they tell you)? Do you love to hear that you can have more gears on the rear and less of the front. 1×13 anyone? The bicycle is so refined now that each new piece of gear is only a tiny iteration in a long line of refinements. There’s always someway to make it better. And we must have these new improvements. This specialisation isn’t just between these big categories. For gravel we’ve have the fast all road bikes. We’ve have CX bikes (yes I know it’s not a gravel bike, but really? It’s a bike that rides gravel just fine). There are the bikes that can take 40c tires. We’ve have touring oriented adventure bikes, monster crosses and drop bar mountain bikes. I’m sure you have a need for each one of these bikes. My next ride might be 70% tar and the 30% gravel will be smooth and fast – I think I need a Specialized Diverge. But the one after that there’s some washed out fire trails so I need something with 40c’s, perhaps I’ll take a Niner. The weekend after that I need to take some bike packing gear so I need a Salsa with all the bells and whistles. Then I saw a rad video of some guys using 650b wheels with MTB tires on some single track and it looked awesome, I need that too. News 650b wheels (Stan’s valor’s) on the Open Cycles UP so we took it for a fun blast on some rough gravel with rock ledges. We suggest it’s time we take a long hard look at ourselves and why we ride bikes. Then we have the pressure from other cyclists. We have jokes about it too. Like I said, I’m a gear junkie. I love new gear and yes I have a very nice near new bike with top tier components. It’s admired, and not only for it’s bright orange colour. Our obsessing is also because our culture values what’s new and innovative and the pursuit of these things. We think we are obsessed with gear because we love cycling (well duh). When we can’t be riding we constantly think about and research riding, bikes, frames, wheels, gears…We think about it all the time. We are not going to stop thinking about bikes all the time. But we are going to spend more time on obsessing about adventures. 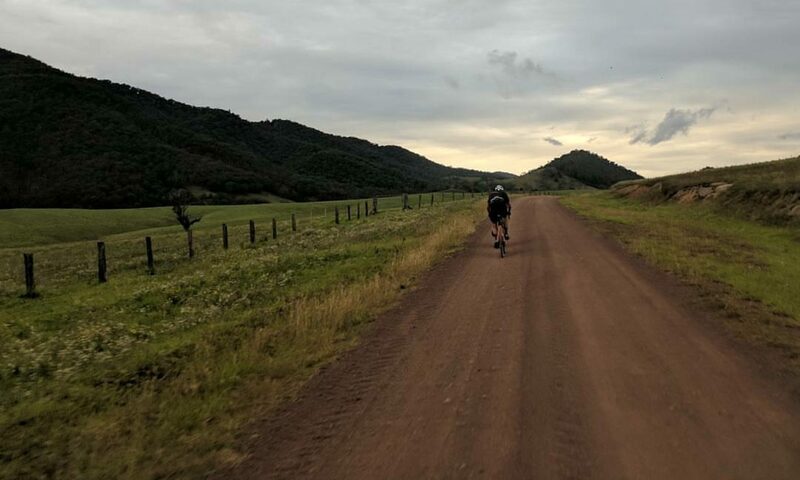 Dreaming of trips and reading ride reports (this is why Graveleur will have stories – the community needs to hear yours). We are going to spend time studying maps and looking for interesting places to ride. We are going to think about how we can make rides more interesting and fun for the other cyclists. About how we can encourage riders to try something a little bit further from the centre of their comfort zone (open gravel rides). A new bike will not make you a better cyclist. An upgrade won’t make a difference.